Ten years after the height of Britpop, it enjoyed a revival. 2004 brought Franz Ferdinand to the fore, as the Glasgow group released its debut. With their New Wave influenced sound, they were reviving the late 1970s. But what no one expected was that they’d be at the head of a wave of bands creating a new explosion of Britpop that’s not only done tremendously well in the charts at home, but also conquered audiences in America. With influences mixing dance and art, by the time Franz Ferdinand’s self-titled debut CD arrived in 2004, they’d already caused a splash with an EP and their videos. Interestingly, the band was willing to work America hard and made huge inroads, with the CD going platinum. They managed this without ignoring fans at home, still scoring British hit singles, as well as another track that made the download charts. The band showed that they possessed not only plenty of brains, but a good sense of music history, and the ability to put it all together with a sound that echoed the heyday of New Wave but still sounded completely fresh – enough to bring them a Mercury Prize. The 2005 follow up, You Could Have It So Much Better saw them spreading their wings a little and taking more from the indie sound that had been in evidence during the 1980s, quieter, more melodic, and often less frantic and starker. However, it was even more successful than their debut, hitting the top of the album charts. It took six years for the Kaiser Chiefs to achieve any kind of success, when they broke out in 2004 with the indie single Oh My God. They capitalised on that later the same year with I Predict A Riot, which saw them hitting the mainstream, and recording their debut CD, Employment, which was preceded by a re-recorded version of Oh My God that made the top ten. Employment made the top three in the album charts in 2005, spawning three more hit singles, and the Kaiser Chiefs were on every critic’s favourite list. Their spiky sound had even stronger New Wave resonances than Franz Ferdinand, with some intelligent, thoughtful lyrics. 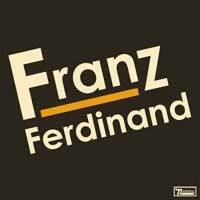 They created a big impact very quickly, although they haven’t made the same inroads in America as Franz Ferdinand. Franz Ferdinand was the band of 2004, the Kaiser Chiefs of 2005, and Sheffield’s Arctic Moneys claimed the title in 2006. They’d laid the groundwork by playing locally and finding friends online (they were one of the first bands to break through by the use of the Internet as a marketing tool) even before they released their first single I Bet You Look Good On The Dance Floor, which rocketed to the top of the charts, as did the follow up, When The Sun Goes Down. Their debut CD, Whatever People Say I Am, That’s What I’m Not became the fast selling first album by a band in British history, winning all manner of awards, including the Mercury Prize. Conquering Britain was easy, and America proved to be putty in their hands too, even though their tales of working class life in Yorkshire meant little to the audiences; the album still made the charts, and the dates on their tour all sold out. These aren’t the whole new crop of rock bands, but they typify the retro musical appeal that’s become a hallmark of a kind of new Britpop ethos.